We love sweet treats made with real wholefood ingredients – Just because you are healthy doesn’t mean you need to miss out on some much-loved delights! 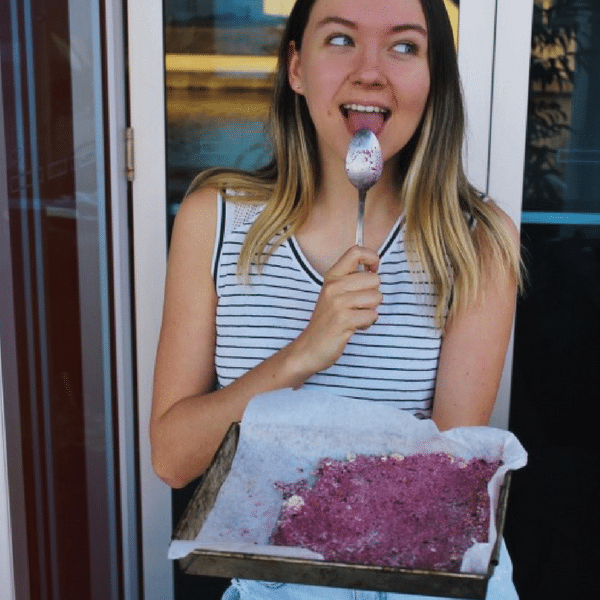 This Berry Ripe Slice created by our friend Daisy (@deliciousbydaisy) tastes just like the real thing! Forget the artificial and processed ingredients, these are super easy to make with no added oils or sugar! – 75g of Dark Chocolate of your Choice! 1 – Blend oats and sunflower seeds until crumbly. 2 – Add the berries, coconuts, maple syrup and blend until a fine consistency. 3 – Press firmly into a lined tin and allow to set in the freezer. 4 – Melt and spread the chocolate over the cold base. 5 – Place back into the freezer and then cut/break into pieces. 6 – Store in the freezer and make sure to slightly defrost them before eating! Voila! There you have it, a 100% whole foods plant based decadent dessert ready to serve! Tip: Best served in our 100% Bamboo Bedding – Click here to check out our range of colours!